Dr. Mark Mouw was introduced to natural healthcare when he was injured lifting weights the summer before he was to begin his undergraduate studies. The condition debilitated him such a degree that he could no longer engage in any of the activities that he enjoyed. On the advice of a friend, he sought out the care of a local wellness doctor as he was worried about the side-effects of medications and wanted to avoid a surgical intervention at such an early age. The results not only transformed Dr. Mark’s health but also set him on a new path for his future. He completed undergraduate studies at Northwestern College in Orange City, IA with a bachelor’s degree in Science and a major in Biology of Health Professions. From there he went on to attend and graduate with a Doctor of Chiropractic degree from Palmer College of Chiropractic, Davenport, but Dr. Mark’s education had just begun. He has completed many post-graduate courses and certifications in health, wellness, and technique related to natural healthcare and continues to do so regularly in order to stay current with the latest information and research. Dr. Lynne Mouw was born and raised in Newfoundland, Canada and she completed her undergraduate studies there, graduating from Memorial University with a Bachelor of Science with a major in Biology. She moved to Iowa in 1997 to attend Palmer College of Chiropractic. She graduated from Palmer with a Doctor of Chiropractic Degree in 2001. After graduation, she worked as an associate chiropractor in clinics in Illinois and South Dakota. 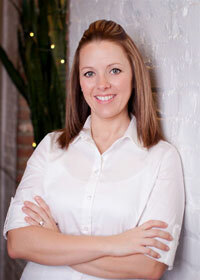 She moved to the Council Bluffs area to open Mouw Family Chiropractic late 2004. She prefers to practice on children and adolescents providing both condition-based and health and wellness care. She enjoys reading and traveling, playing with her daughter Lila and exercise and nutrition. Dr. Amber Streff was born in Hastings, Nebraska, After graduation from high school, Dr. Amber furthered her education attending Doane College in Crete, NE where she earned a Bachelor of Science degree majoring in Biology. Dr. Amber then relocated to Dallas, Texas and attended Parker College of Chiropractic and graduated with a Doctor of Chiropractic degree in 2007. 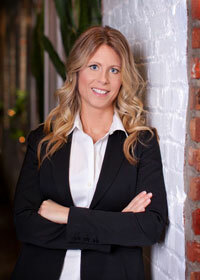 She is also a Certified Chiropractic Sports Physician (C.C.S.P). After receiving her doctorate, Dr. Amber and her husband Justin returned to Omaha, Nebraska where she practiced as an Associate Doctor of Chiropractic with a clinic in Omaha prior to joining Mouw Family Chiropractic in 2010. Dr. Amber believes anyone with a spine should get adjusted; she especially loves taking care of women, expecting mothers, and children. In April 2010, Dr. Amber and Justin welcomed their first daughter, Landri Grace to their family with an all natural homebirth. In her spare time, Dr. Amber enjoys running, spending time with her family, and her 2 dogs. 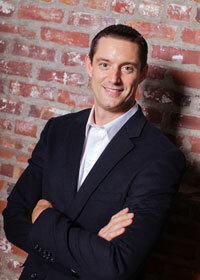 Dr. Andrew Laflin was born in Lincoln, Nebraska. With an interest in health and seeing other people reach their full potential, he completed his Bachelor of Science degree majoring in Exercise Science at Nebraska Wesleyan University, where he also ran track and cross country. His interest in chiropractic was sparked when a chiropractor spoke to one of his classes. He was so intrigued he began to shadow chiropractors in offices around the area and worked as a chiropractic assistant while taking his college classes. 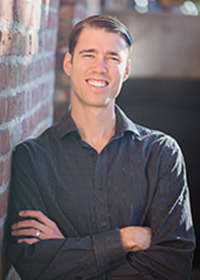 After deciding to pursue chiropractic, he went on to complete his Doctorate of Chiropractic degree at Parker University in Dallas, Texas in 2014. With the recommendation of a mutual friend, he was connected with a clinic in Frederick, Maryland where he started as an associate chiropractor. After being away from family for a number of years, he and his wife Katelyn realized it was time to move back closer to home and joined the team at Mouw Family Chiropractic in 2016. As a chiropractor, Dr. Andrew is passionate about seeing others live extraordinary lives and sharing the message about what it means to be optimally healthy. He believes in delivering care that addresses the causes of health problems and unlocks the healing abilities that each of our bodies already has on the inside. playing sports, and being active outdoors. Dr. Jordan Mouw grew up in chiropractic. As a second-generation chiropractor, he experienced the benefits of chiropractic from a very early age. After his undergraduate studies at Morningside College, he pursued his chiropractic education at Palmer College of Chiropractic where he graduated with high honors. Dr. Jordan has extensive training and experience in pregnancy, pediatrics, athletics, and overall wellness promotion. 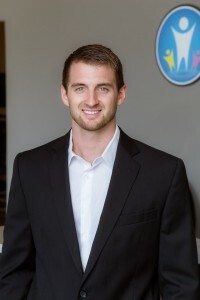 His passion for family care led him to additional training from the International Chiropractic Pediatric Association and subsequent Webster Technique Certification. In his free time, Dr. Jordan enjoys spending time with his wife, Jamie, and their son, Jaxton. He also enjoys golfing, playing basketball, and cheering for his favorite sports teams (Go Hawkeyes! ).